Originally from Kirkland, WA Ron has been a mortgage lender in Santa Rosa, CA for over four decades. His experience, along with a Bachelor of Arts degree in Business Administration/Finance from the University of Washington, enables Ron to bring a wealth of knowhow and expertise to his position as a Mortgage Loan Officer. He also acquired valuable skills by working with others in a high performance environment as a U.S. Navy fighter-attack pilot flying combat missions from the aircraft carrier USS Midway. 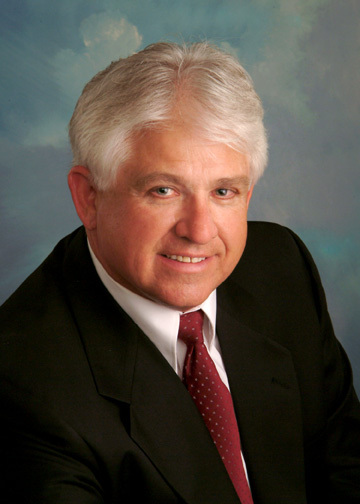 Ron gives his utmost to his clients, his primary goal being their well being and financial security. “I provide my clients with the best loan available. One they can afford, one they understand, and one that will give them peace of mind for as long as they own their home. I strive to make the loan process as easy to complete as possible and stress free”. This work ethic, coupled with competitive rates and reasonable fees, has worked well for Ron as he achieved a milestone in March 2014 when his personal loan production exceeded 5,600 closed mortgage loans. Residing in Santa Rosa, CA since 1976, Ron has also been active in his community by serving as a Distinguished Past President of the Downtown Santa Rosa Kiwanis Club and as Golf Handicap Chairman for the Santa Rosa Golf & Country Club. Along with his wife Joy he also served on the PACE Committee of Santa Rosa Memorial Hospital, a charitable organization that raises funds for Parenting & Children’s Education. When he’s not hard at work Ron spends his leisure time with family and friends, playing golf, and traveling abroad when time permits. For a free consultation of your home buying capability or to discuss a specific loan program, please give Ron a call. Or if you’re contemplating the refinance of an existing mortgage, he can analyze the monetary benefits before you even start to see if it’s the right thing to do. Ron also offers Reverse Mortgages to seniors over sixty-two years of age and can answer questions about this oftentimes misunderstood program. In any and all circumstances Ron will certainly look forward to helping you.